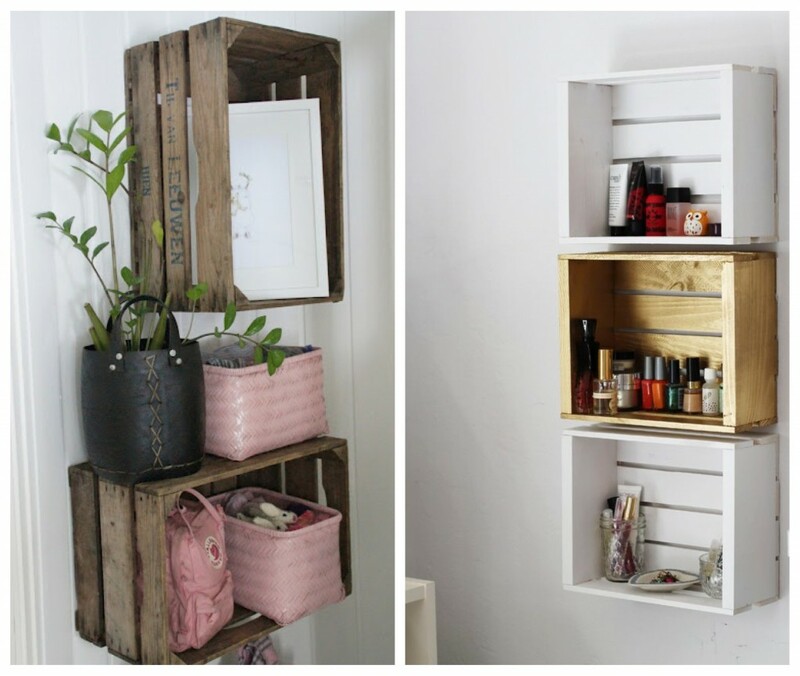 43 DIY small storage ideas for your home ! You are planning to move into your new apartment soon? You are on a very tight budget for decoration & furniture? If you are feeling uninspired, you’re at the right place ! 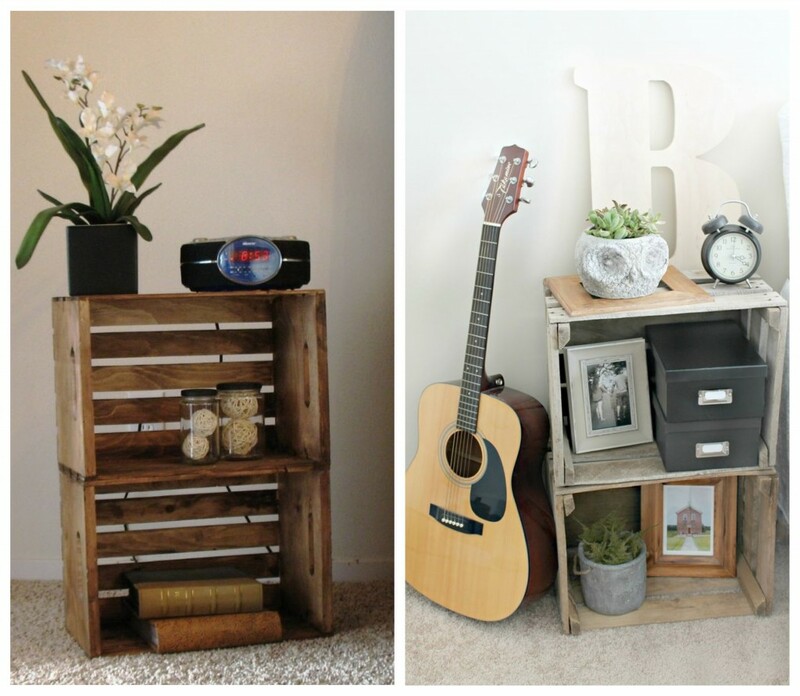 Below you’ll find many affordable and great looking decorative and creative ideas to do yourself (DIY). 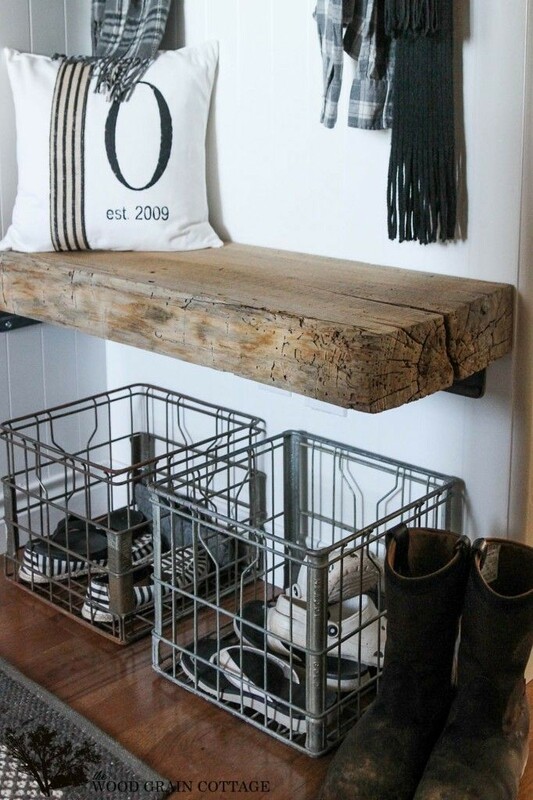 The DIY decoration projects as seen on Pinterest and elsewhere, are becoming more and more popular. Here are my DIY inspirations for the moment, and I strongly suggest that you browse the web to find great bargains on decorative elements! 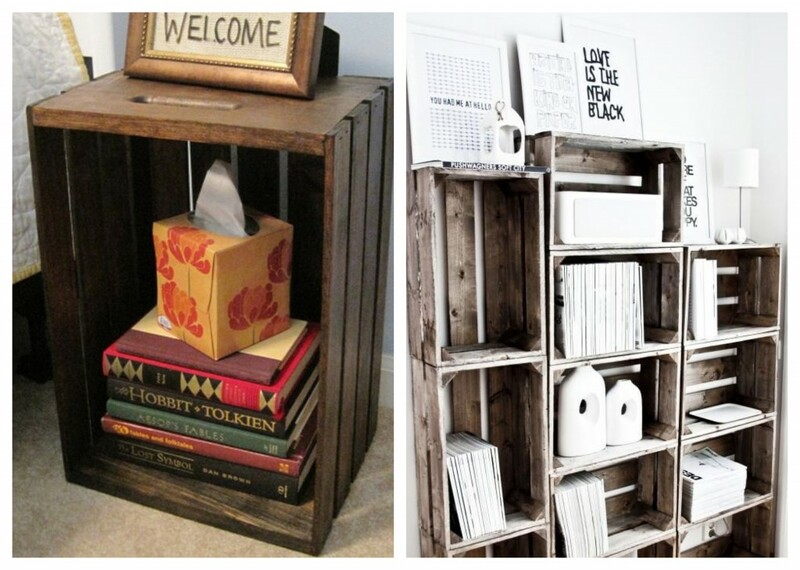 Use them to store your old rags or assemble them to create a storage unit for the living room, the bedroom, the bathroom or the entrance, whatever the purpose you will never have too much wooden crates. 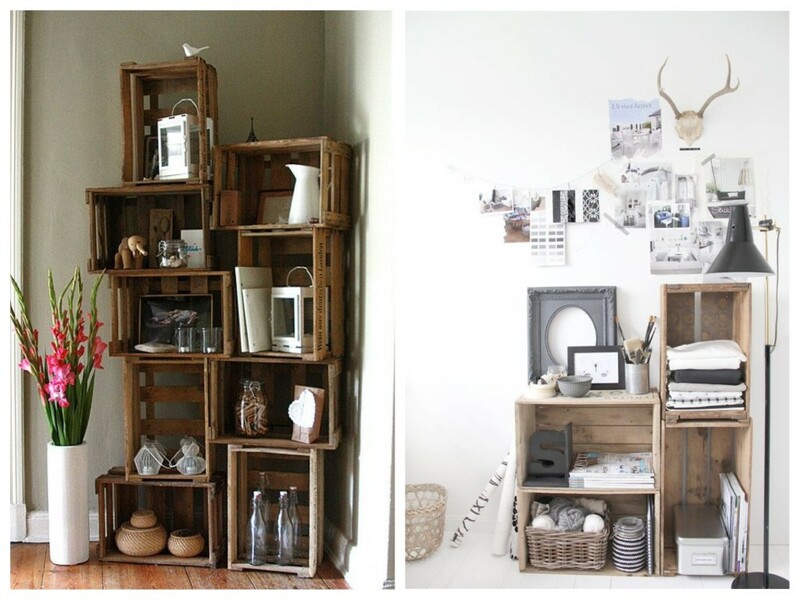 There are so many ingenious ways to create storage with wooden crates! Available at Walmart for $9.98 you are guaranteed not to exceed your budget, however small it may be. 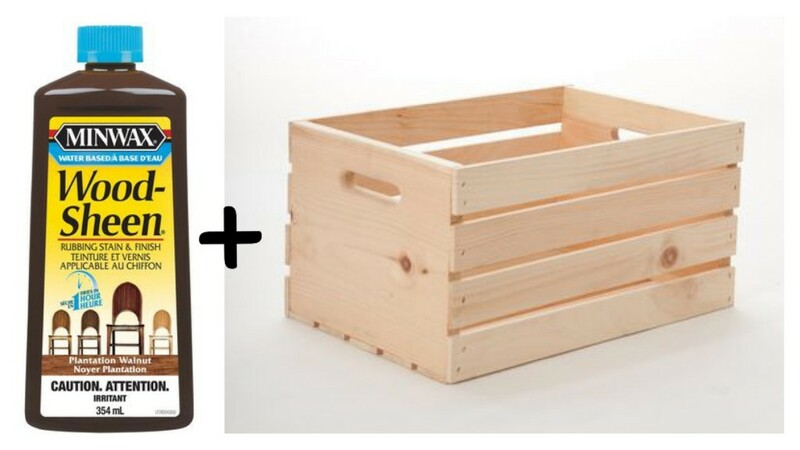 You can stain or paint your crates in whatever finish you want; As for me, I like glaze antique to $ 5.99 on sale at Ikea ! 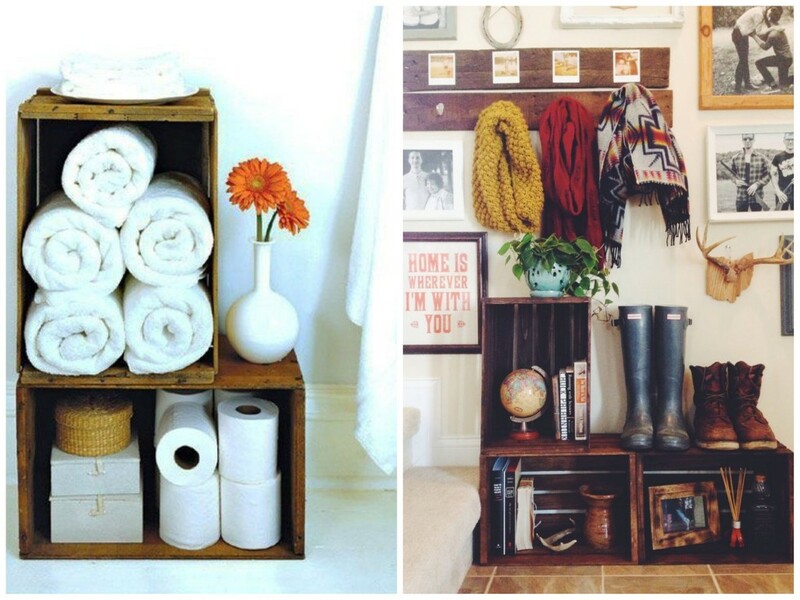 For approximately $30, put some order in your mud room or your bathroom, and make them more welcoming ! 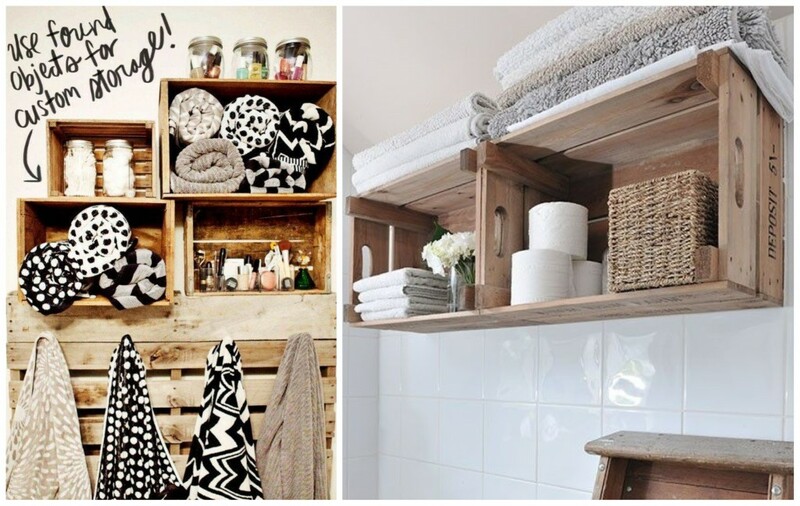 You do not have enough storage in your bathroom? There are several sizes of wooden boxes, some smaller (and cheaper) that you could hang on the wall to store your belongings. 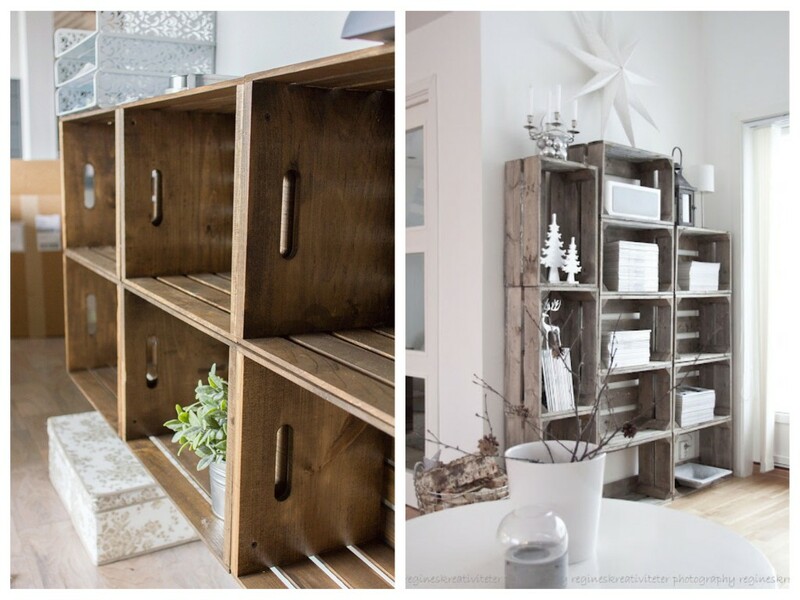 When your storage is part of the decor and everything has its place! 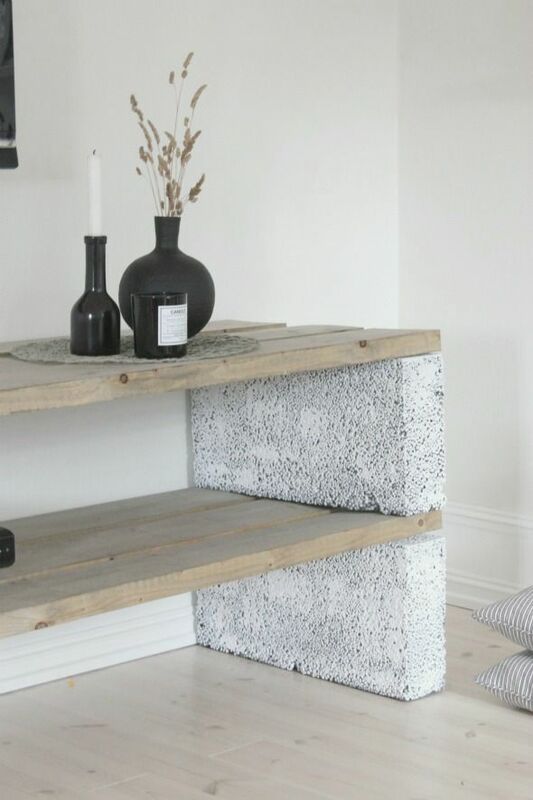 Ideas to make your own bedside table … See below, a $7 bedside table made of concrete block! 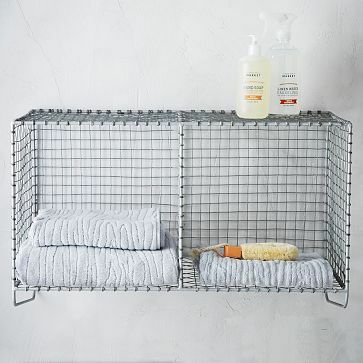 What I like about mesh baskets storage is that they are useful while offering a decorative touch. 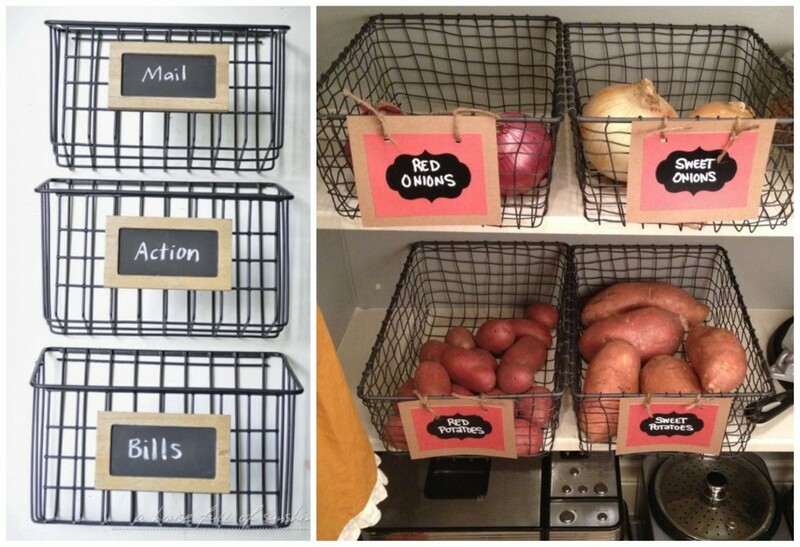 Whether to gather condiments, potatoes, bills or mail, in a kitchen, we always need a place to gather what is lying around. 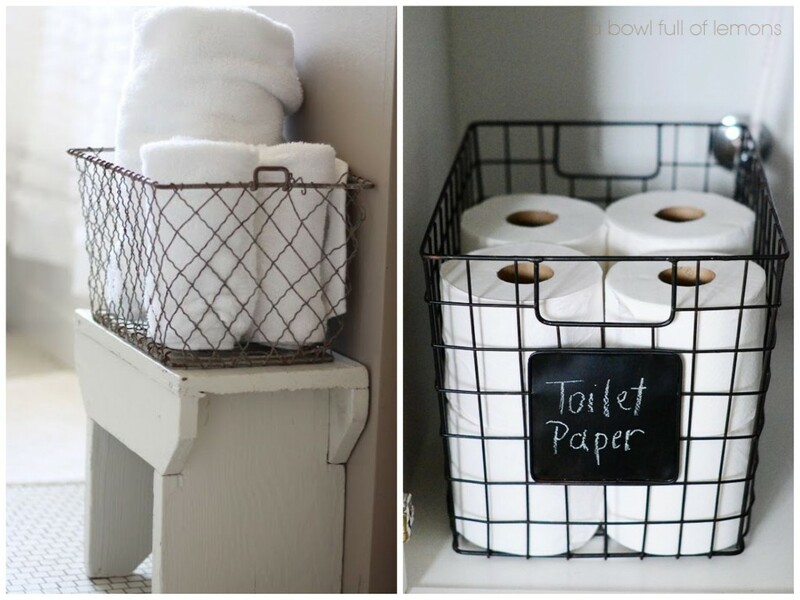 I have created some for my new apartment; I bought them at Home Depot for $ 12.48 and then stained with a metal spray textured black finish $ 6.04 from Walmart. For those who tend to lose important papers, here is an effective way to organize your paperwork! You need to add shelves? 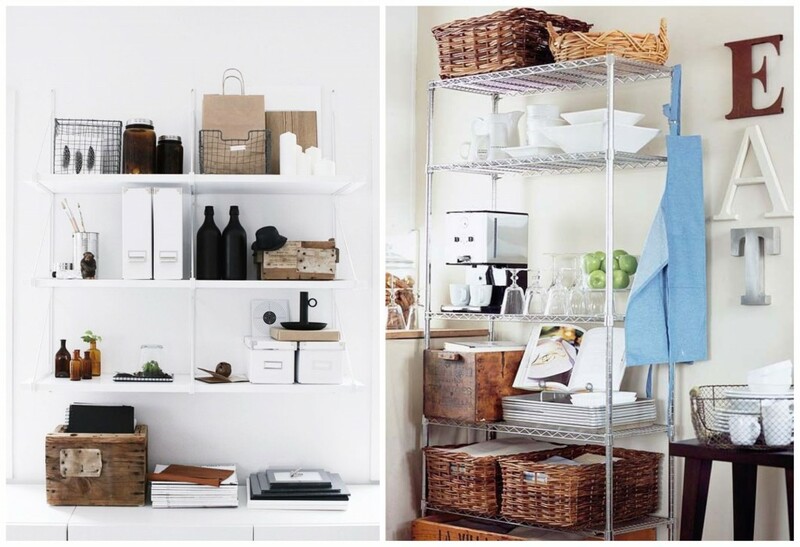 Consider the ideal space and then how you organize it all! 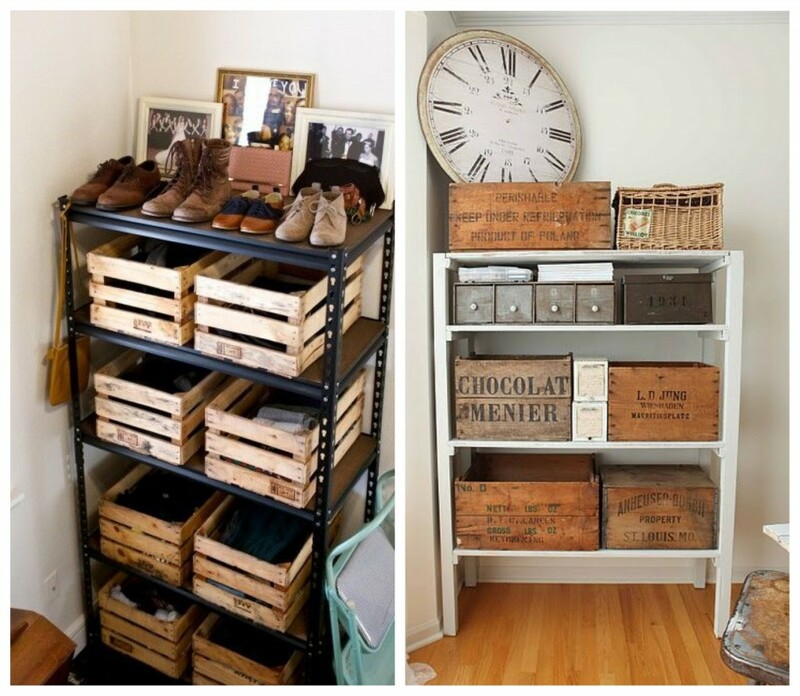 Same idea as the small wooden boxes on the wall for storage, you could opt for a different style! You love recycling? 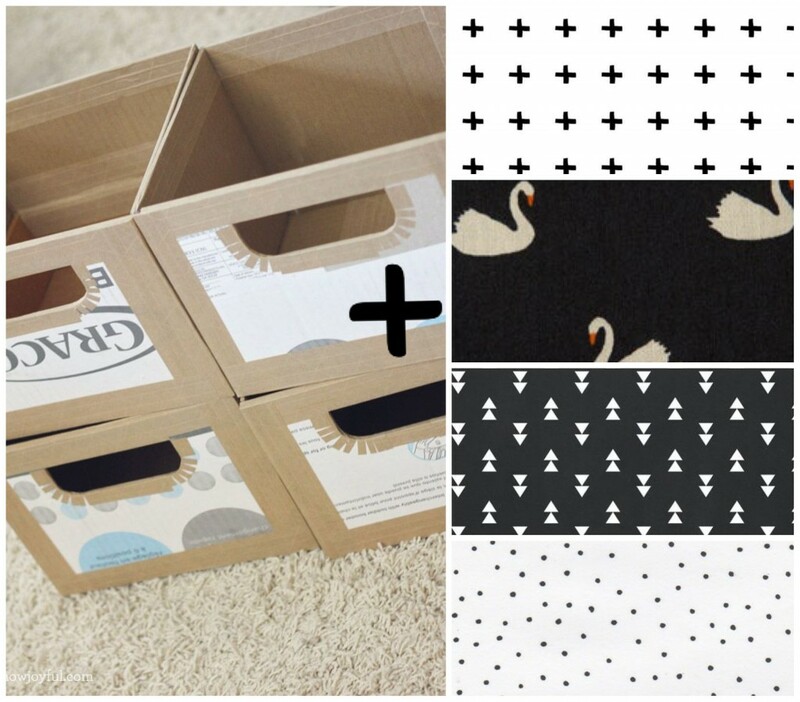 Use any piece of cardboard that you find on your way, find some patterns you like, print them and stick them on your new cardboard boxes! You could also just paint the color of your choice or cover them with another idea you have in mind. 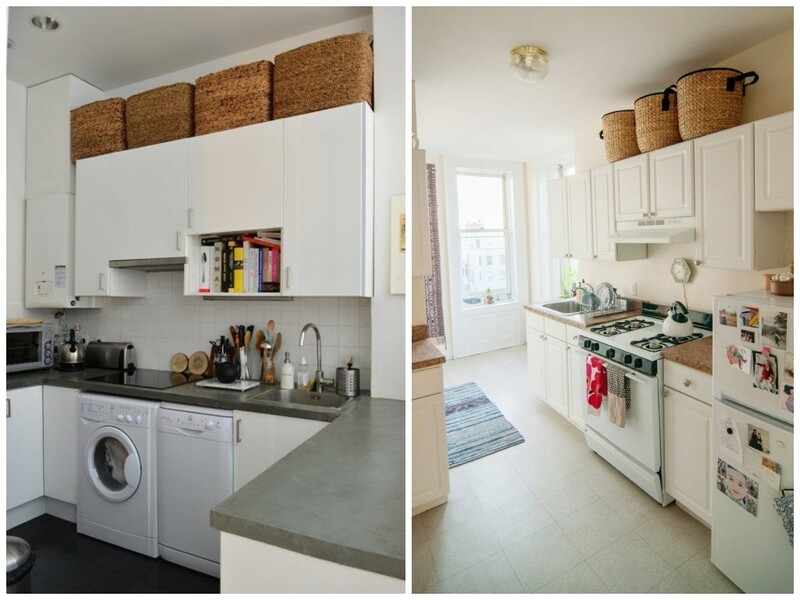 If space allows, here’s a beautiful way to organize and decorate by gathering personal belongings lying around all over the apartment. 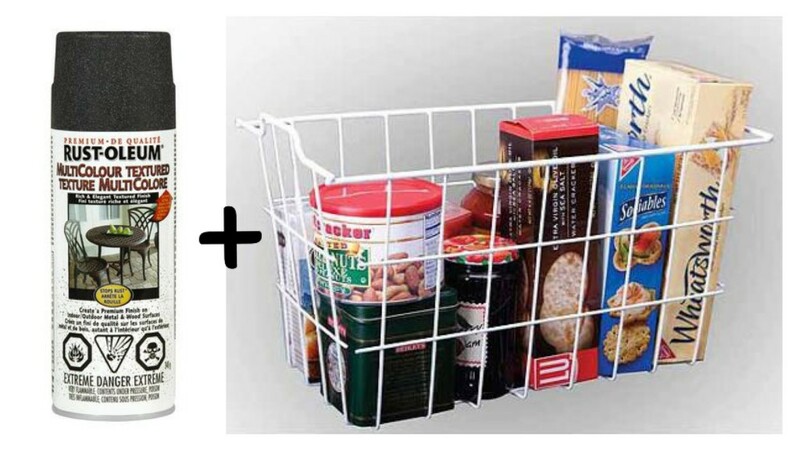 Take the clutter out of your space for under $ 40 with some pretty wicker baskets on sale at $ 7.99 / each at Ikea. Do not forget to pick up a stool to reach them if necessary! 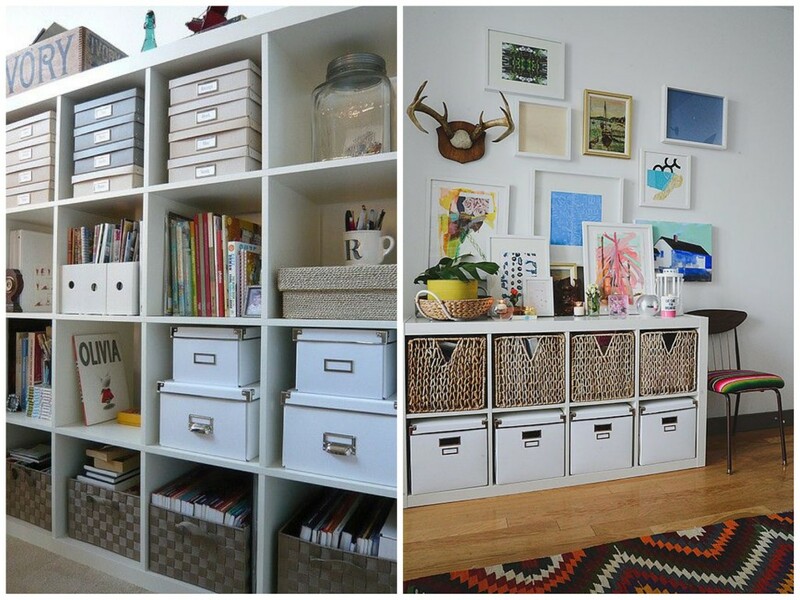 For only $ 40, get one of these two storage walls (see lower photos) for a casual but organized storage space. 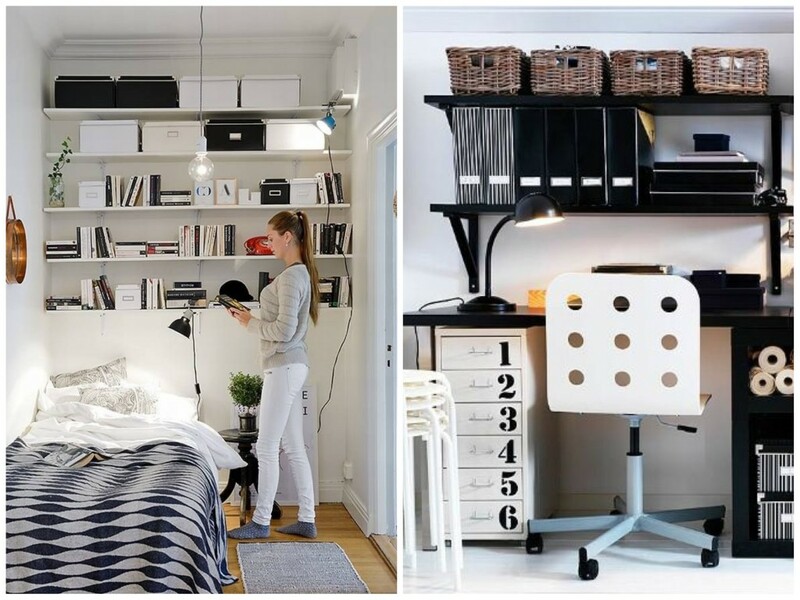 Buy 5 tablets sold at Ikea to $ 6.99 / each, 10 consoles to attach the shelves to $ 0.50 / each (2 per tablet). 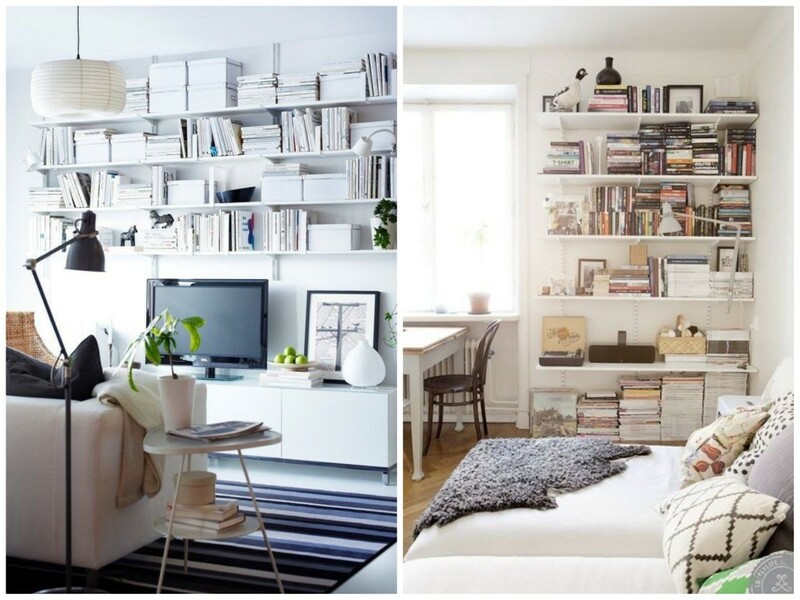 If your ceiling height allows, opt for a wardrobe trend, functional and especially economic. Find different lengths of copper pipes ½” available at Home Depot to $ 6.49 to $ 9,52 or 3 feet to 6 feet. Then you need 2 elbows 90° to $ 0.84 / each and 2 fittings $ 1.89 / each on sale at Home Depot and 2 galvanized flanged $ 4.53 / each. When you purchase the pipes, ask at the counter for any copper pipes remaining (3 or 4 1/2 inches long) for the vertical portion of the pole. As incredible as it may sound, it is possible to get a solid and original bedside tables at such a low price. 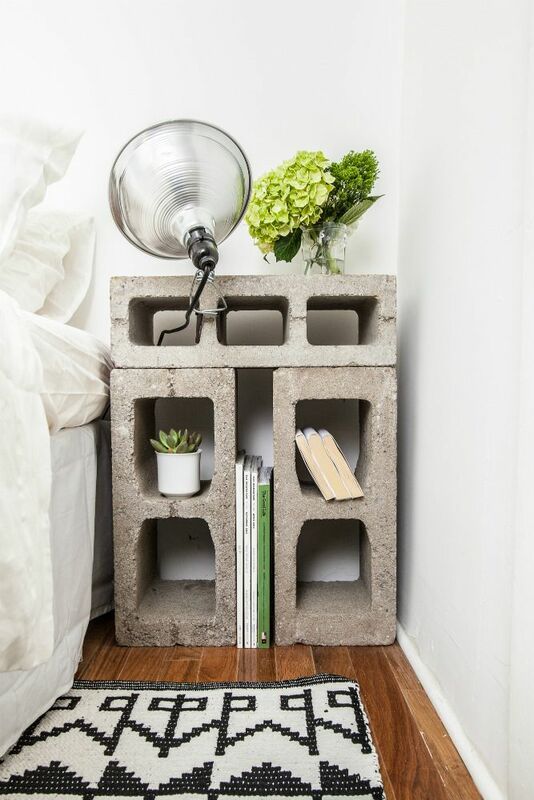 It’s simple, just buy 2 hollow concrete blocks for $ 1.25 / each for the base, then 1 block solid concrete to $ 1.50 for the top of the bedside table, and that is it! Also at Home Depot, buy 2 knotty pine boards 10 feet at $ 17.27 / each cut it in two pieces to have 4 boards each 5 feet, and 4 hollow concrete blocks at $ 1.25 / each. Thus, you have a beautiful industrial style TV table for less than $35. If you don’t like the cedar planks’ color, you can always buy wood stain! If you don’t want to use cedar boards, be careful to choose a rather massive and thick board that will support the weight of whatever you are planning to put on it! 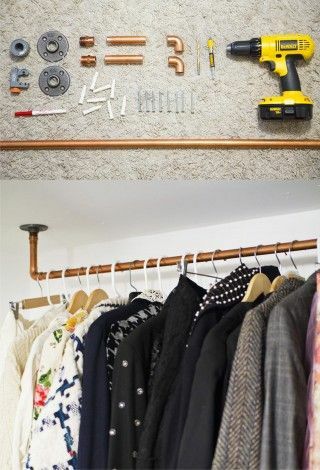 Pretty awesome ideas for any house. Thank you for sharing! Great article! This article is full of original ideas and style. I like the onion containers! 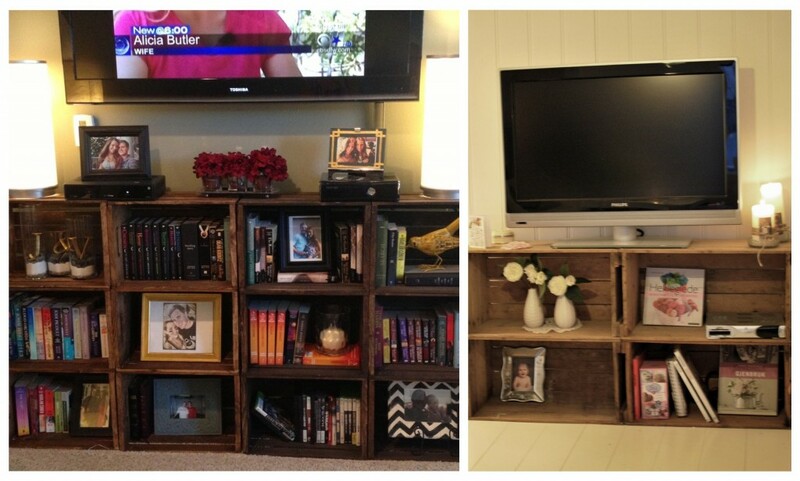 Here’s an example of how DIY furniture can look better than the ones we buy in the stores. Thanks a lot for sharing these creative ideas with us! Bedside table is my favourite one! All the ideas are fantastic! Thanks Chloe! 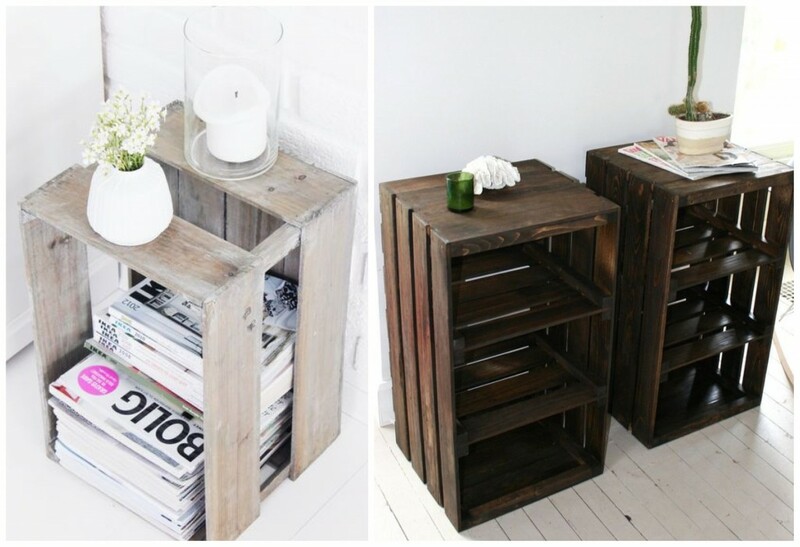 I also love the bedside table idea!